unpredictable weather conditions, droughts and flooding. Crops don’t do well and yields are low. Researcher Abraham Salomon, of the University of California-Davis, is working in eastern Uganda, collaborating with local farmers, social advocates, and engineers on flexible and community-managed irrigation interventions. They’ve been installing and maintaining adaptable irrigation systems that allows tomatoes, cabbage, beans and other vegetables to thrive in the dry seasons and the unpredictable rainy seasons. Rebecca Larson (center), with project partners near Kampala, Uganda. Decomposing human and animal waste has the power to change lives. While it might sound – and smell – funny, the power of poop lies in biogas, a renewable energy source produced during the breakdown of waste. The process yields a gas of about 60 percent methane that can be used for cooking, refrigeration, and other basic needs. The waste itself can also be processed and applied to fields to enrich the soil and improve crop production. That’s what waste engineer, Rebecca Larson, assistant professor professor at the University of Wisconsin-Madison has been doing. She’s partnered with Vianney Tumwesige, CEO of Green Heat, a Ugandan energy company, teamed up on a host of projects in Kampala, Uganda that demonstrate new ways to transform waste to resource. Editor’s note: Uganda-based reporter Halima Abdallah of The East African developed this story at an environmental journalism workshop led by Eric Freedman, director of MSU’s Knight Center for Environmental Journalism which publishes The Food Fix. Will the commercial viability of Lake Victoria and its ecosystem be sustained? This is the question arising from re-emergence of low value native species like dagaa against dwindling stocks of high-value species like the Nile perch. It’s a struggle to balance context and new information, especially in a research story or presentation. Scientists are used to writing up studies and reports that start by laying the groundwork of the research upon which they are building. That makes sense – for a scientific publication. But other audiences want the new angle to the old story. It’s what will engage them. It’s not that they don’t need context. But unlike a research article, they don’t need an excessive amount right off the bat. 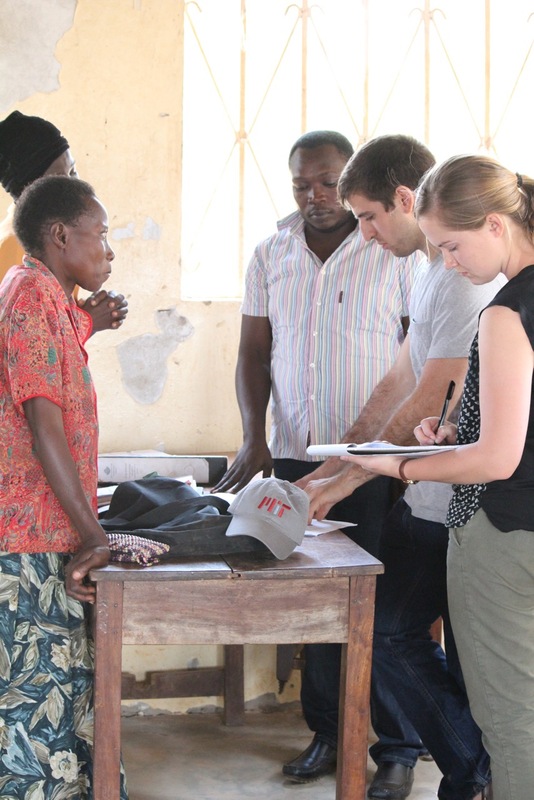 This summer researchers from the Massachusetts Institute of Technology’s Comprehensive Initiative on Technology Evaluation MIT site program studied the harvest storage methods of small scale farmers in Uganda. Mark Brennan is a site research assistant and Master student in the Technology and Policy program at MIT’s Engineering Services Division. He talked about preventing large amounts of food waste in small scale farms.